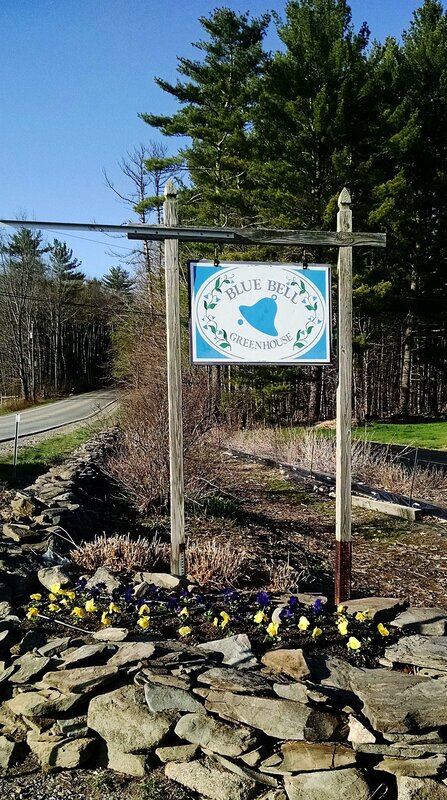 Blue Bell Greenhouse is a family-owned and operated business by Yuda and Amy Daskal near Durham in the Portsmouth Seacoast area. Blue Bell is in operation year round, with retail sales in the Spring and special order cut flowers the rest of the year. We try to offer a large selection of bedding plants, including some of the more unusual varieties, which you can find in our "Plant lists". Keep in mind that the lists are subject to change. There may be some last-minute items in the greenhouse that are not included on the list, and others of limited quantity that sell out early. Call ahead to ask about availability, or just come and browse. We really enjoy growing the plants, but we enjoy getting to know our customers and seeing them enjoy their own gardens even more. We also offer pick-your-own farm shares for our beautiful CSA vegetable and herb garden for only $260 a share for our 20 week harvest season. For more information check out our CSA page and send us an email! We are located in Lee, New Hampshire at 105 Route 155 (North River Road), and are open 9 AM to 6 PM Monday-Friday and 8 AM to 5 PM on Saturday and Sunday. We will close in very bad weather. May 9, 2013 Nudicale poppies in lovely colors.